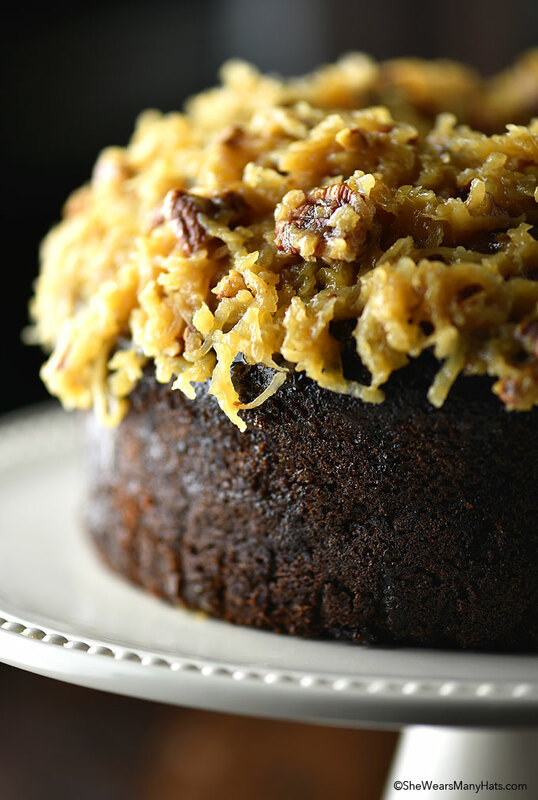 German Chocolate Pound Cake is a luscious chocolate cake in Bundt form with the traditional nutty German Chocolate icing. Sometimes people are not as they seem online. It’s not always a bad thing. Sometimes they’re much taller than you imagined or younger, maybe they’re shy or their voice is totally different than how they sounded in your mind. Recently I met Jocelyn of Grandbaby Cakes in person and she is as full of life as she is online— a breath of fresh air, if you will! I was excited to receive a copy of her new cookbook, Grandbaby Cakes. I wasn’t surprised to find that Jocelyn’s personality and love of family and friends shines right through each delicious page. The cookbook is not only packed with a collection of delectable cakes, but endearing stories about her family, especially her Big Mama, the inspiration behind this cookbook. 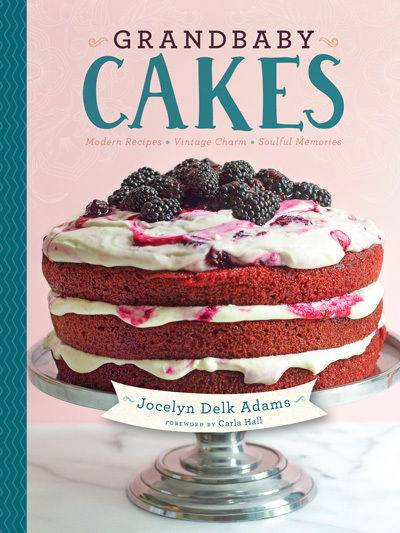 To celebrate Jocelyn’s Grandbaby Cakes cookbook release I’m participating in a virtual cake walk of sorts. As I flipped through the pages trying to decide what cake to make I kept getting distracted by planning for a few to celebrate the upcoming holidays. 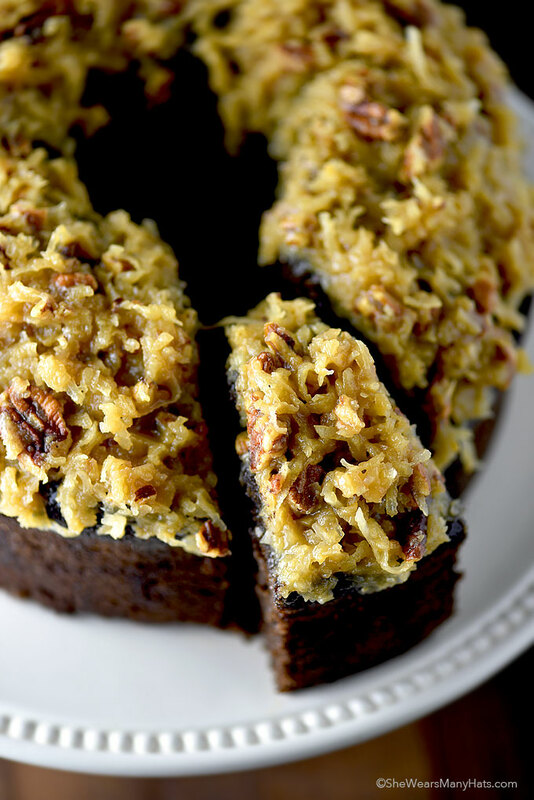 From a Classic Yellow Cake with Whipped Chocolate Frosting, to a Key Lime Cake, a Sea Salt Caramel Cake or this German Chocolate Pound Cake that I’m sharing with you today, you’ll find more than a few recipes to inspire. 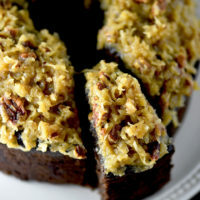 I settled on German Chocolate Pound Cake because it’s one of my husband’s favorite. Anytime coconut is involved, it’s one of his favorites. 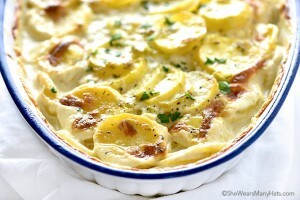 As I read Jocelyn’s recipe notes I learned that it is one of her daddy’s favorites too. Great minds think alike! 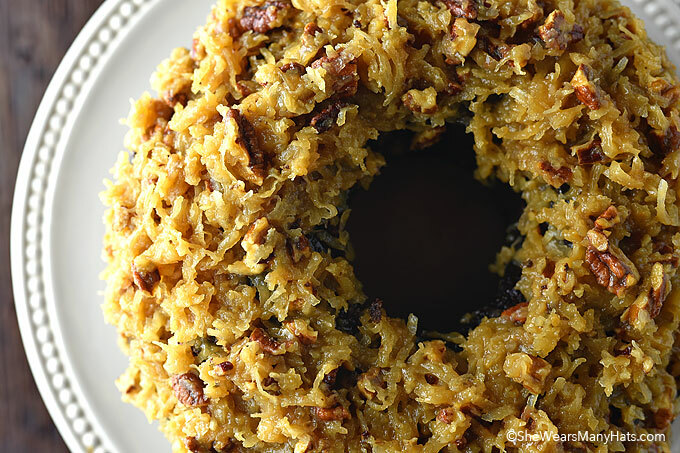 Jocelyn puts a fun twist on the classic German Chocolate Cake by delivering it in pound cake form. It’s easier to put together—no layers to fuss over—but it doesn’t lack one bit in flavor. Rich and chocolatey with the classic nutty icing, this cake is hard to resist. I think you’ll enjoy it very much! A chocolatey bundt cake topped with coconut pecan icing. Preheat your oven to 325-degrees F. Liberally prepare a 12-cup Bundt pan with the nonstick method of your choice. Pour the chocolate chips into a medium microwave-safe bowl. Microwave on high for 15 seconds at a time, stirring after each heating interval, until the chocolate is melted. In the bowl of your stand mixer fitted with the whisk attachment, beat butter for 2 minutes on high speed. Slowly add the granulated sugar. Cream together for an additional 5 minutes, until very pale yellow and fluffy. Add eggs one at a time, combining well after each addition and scraping down the sides and bottom of the bowl as needed. Turn your mixer down to its lowest speed and slowly add the flour in 2 batches. Be careful not to overbeat. Add cocoa powder, coffee powder, baking powder, and salt. Lastly, add the melted chocolate, buttermilk, and vanilla extract. Make sure the chocolate cools slightly so as to not curdle the buttermilk. Scrape down the sides and bottom of the bowl and mix the batter until just combined. Be careful to not overmix. Pour the batter into the prepared pan and bake for 70 to 80 minutes, or until a toothpick inserted into the center of the cake comes out clean. Check frequently to make sure you do not overbake the cake. Reduce oven to 275-degrees F after removing the cake. Let cake cool in pan on a wire rack for 10 minutes; invert onto a serving plate. Let cool to room temperature. Lightly cover cake with foil or plastic wrap so it does not dry out. Line a baking sheet with parchment paper. Add the pecans in 1 layer and bake for 10 to 12 minutes, until lightly toasted. In a medium saucepan over medium heat, add the evaporated milk, butter, brown sugar, granulated sugar, and egg yolks. Whisk constantly until the mixture has melted together. 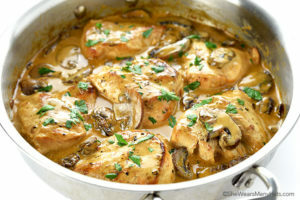 Continue to cook, whisking occasionally, for about 12 to 15 minutes, or until the mixture bubbles, turns a light amber color, and is thick enough to slightly coat the back of a spoon. Remove from the heat and stir in the coconut, vanilla extract, and toasted pecans. Drizzle the icing over the top of the cake. Serve at room temperature. This cake looks amazing! German chocolate is one of my favorites! Yummy! And what a great icing! This is so beautiful my dear. This cake is seriously making me hungry right about now. I am so grateful I got the chance to meet you. You are such a lovely lovely spirit. Thank you for being part of this!!! 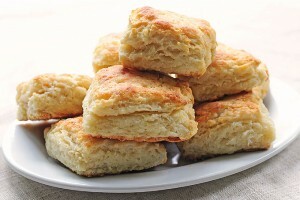 You can substitute the buttermilk with whole milk. You can use 1 tablespoon of white vinegar in the bottom of a measuring cup, and fill it the rest of the way with milk. Let it sit 5-10 minutes until curdled. Cake looks absolutely delicious . Can’t wait to try it. In the instructions it says reduce oven to 275 F after removing the cake. Am I missing a step in the instructions? The reduction in temperature is for toasting the pecans for the icing. For extra frosting I make a carrot cake in a bundt pan and cut the cake in half so I frost the middle and the top. So the extra layer of frosting would be scrumptious for this cake too!!!! Hello- can you cheat and use a German Choc cake mix then do the frosting by scratch?